Berkery, Noyes & Co. represents NHU Publishing in its sale to Primedia Inc. - Berkery, Noyes & Co., LLC. Berkery, Noyes & Co. represents NHU Publishing in its sale to Primedia Inc.
NEW YORK, May 17, 2005 — Berkery, Noyes & Co., LLC announced today that the firm represented NHU Publishing LLC in its sale to Primedia Inc.’s Consumer Guides. Terms of the acquisition were not disclosed. NHU Publishing LLC is a family owned and operated company that has been in business since 1988. As publisher of 6 new home publications, the company had been dedicated to bringing readers and internet users the most current and comprehensive information available on new home communities in the Atlanta, Charlotte, Jacksonville, Nashville, Portland and Puget Sound housing markets. 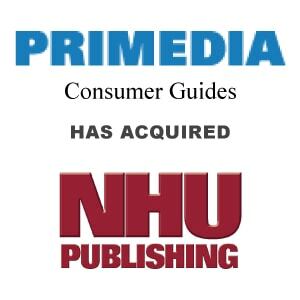 “NHU Publishing has the reputation and presence that will help fuel the continued build-out of our New Home Guide business in both the established Southeast housing market and in the Northwest where we see tremendous opportunity,” said Bob Metz, chief executive officer, Primedia Consumer Guides. Berkery, Noyes specializes in investment banking for the information, publishing and communications industries. Among the most recent transactions completed by Berkery, Noyes are the acquisition by The Wicks Group of DesignWrite, Inc., the acquisition by HMP Communications, Inc of Multimedia Healthcare Freedom, the acquisition by CMP/UBM of Cliggott Publishing and The Oncology Group, the acquisition by Discovery Communications of AIMS Multimedia, the acquisition by Hanley Wood, LLC of the Annual Trade Show of the National Roofing Contractors’ Association, the sale of the print-assets of Sheshunoff Information Services to Alex Information and Sheshunoff Insurance Solutions to Highline Data and Weaver Publications to Prospect Partners, LP. Berkery, Noyes’ clients range from private companies seeking a buyer, to most of the major international information companies and private equity firms who use the firm’s expertise in locating, analyzing and negotiating with acquisition candidates and in managing divestitures. The firm operates with a staff of twenty-six professionals serving the information and publishing industry from offices in New York.